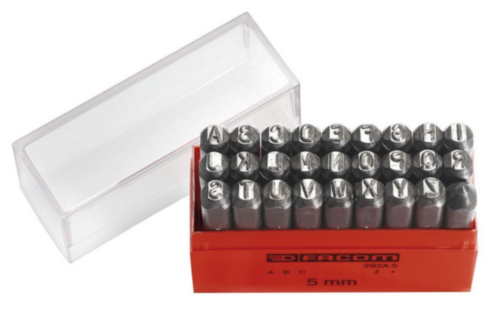 Letter heights: 3 to 8 mm. Carbon steel 60 HRc. Supplied in plastic box.